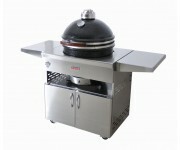 Grandfire KamadoThere are 7 products. 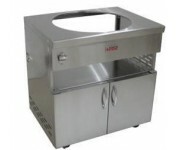 Also termed to be the “New Generation BBQ Oven”, brings together the age old cooking techniques and blends them with today’s technology. A kamado is a traditional Japanese wood or charcoal fuelled cook stove, clay vessels have been used by humans to cook food for many thousands of years. Clay cooking pots have been found in every part of the world and some of the earliest dated by archaeologists to be over 3000 years old have been found in China and over 4000 years in Indus Valley Civilization, India. Once you try the Grandfire Kamado for yourself you’ll be amazed by its versatility and before long it will become the envy of your friends! One of the big advantages is that it is multifaceted. 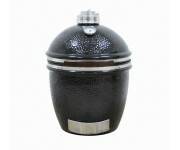 Its ability to grill, smoke, sear and bake makes it an ingenuous grilling tool. 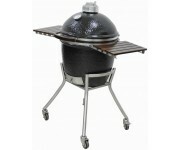 We can assure you that Grandfire Kamado will not only meet your expectations but also guarantee total satisfaction. 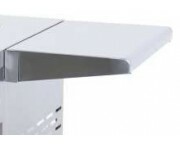 5-Year limited warranty on all ceramics and metal construction and 2 years on all other accessory parts.